Morena’s opened in 1974 when Carmine and Filomena Fusco first immigrated to the United States from Italy. It began as a simple family pizzeria with a limited menu and a kitchen full of love and passion for food. Over the years, our family’s traditional home-cooked meals slowly made appearances in the restaurant and soon became fixtures on the menu. Appealing to the community’s desire for a fresh and home-style alternative to dining out, Morena’s evolved into the Cucina Rustica it is today. 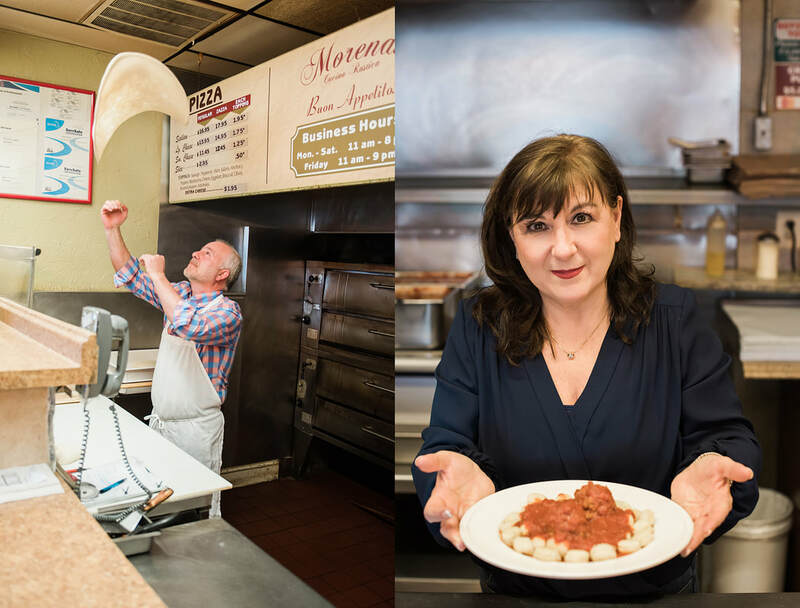 For decades Carmine and Filomena served their patrons, taking pride in the tradition they brought from their homeland. As the demands of the restaurant became too heavy, they maintained their place and roots in the kitchen as their son and daughter-in- law, Luigi and Anna Maria, carried on the restaurant’s tradition. ​Today we pride ourselves on the same values we held when Morena’s first opened its doors. We offer not only fresh, consistent, and home-cooked meals but a family community, just as we remember in our Italian hometowns.